A Germany-based 3D print company, Voxeljet, announced plans to locate its first US facility in Michigan. Voxeljet specializes in providing 3D printers, as well as on-demand parts, to industries such as aerospace, art, and architecture but its main market seems to be the automotive industry. Dr. Ingo Ederer, the CEO of Voxeljet, says that the decision to place the first US Voxelsjet service center in Michigan was based on the location’s proximity to potential customers, adding that the a significant part of the US automobile industry and supply chains are in the area. “While Voxeljet’s customers span a range of industries, the auto industry is currently the heaviest user of our 3-D printing technology,” Dr. Ederer said. The company’s Michigan service location is said to begin operations later this year. The service center will create between 15 and 20 high-tech manufacturing jobs. The governor had met with the German-based 3D printing company, and also has plans to meet with auto industry leaders in Italy before making his return to Michigan. 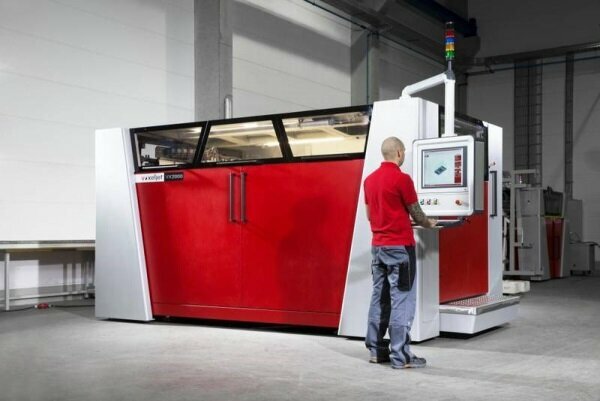 The Voxeljet company service center will allow customers to print on-demand parts, molds, and designs for automotive and other industrial based customers, using 3D computer designs, or other software.